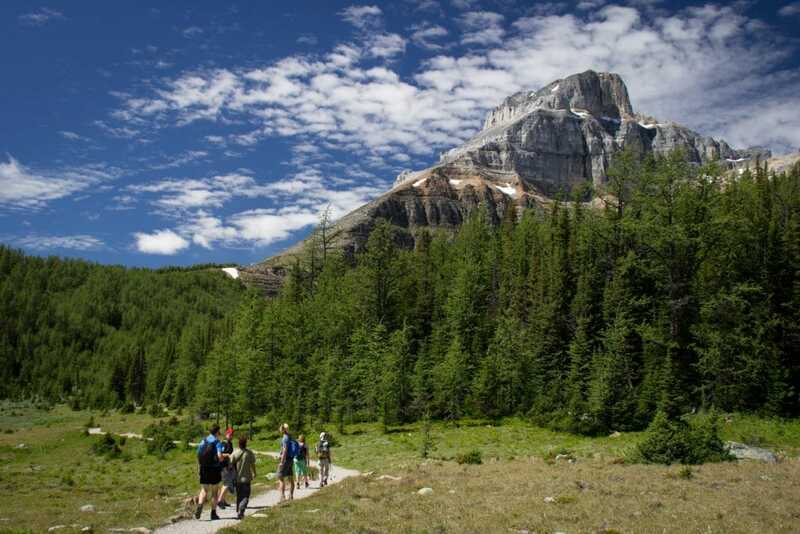 This is one of the most phenomenal hikes in the Lake Louise area, Larch Valley to Sentinal Pass is one of my personal favourites. 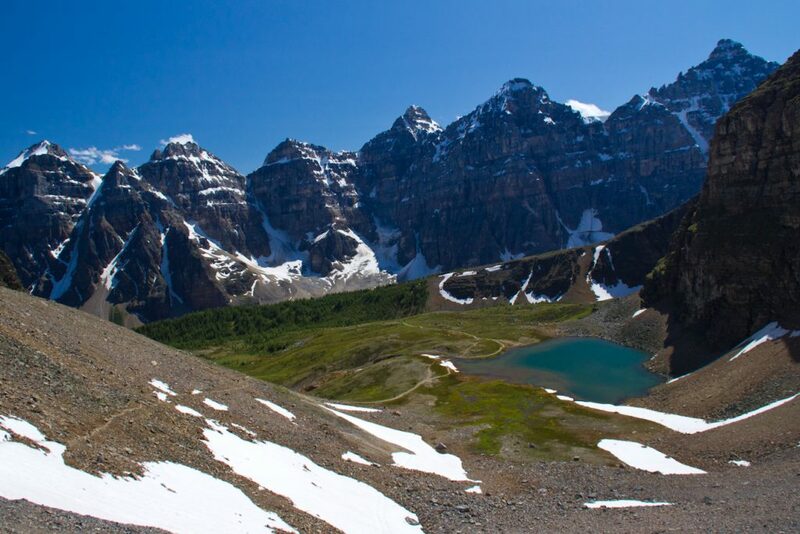 The hike starts at Moraine Lake and steadily climbs into a beautiful valley, surrounded by snow-capped peaks. There is an exposed area at the end of the hike, where the trail steadily climbs a shale switchback, but those who make it up will be rewarded with epic views of both sides of the pass. 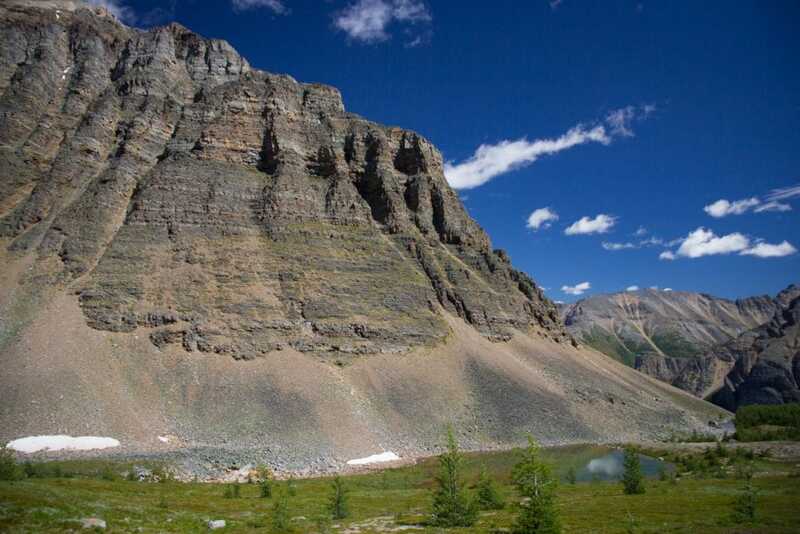 Take highway 1 to the Lake Louise turn-off, then head 14km past Lake Louise to stunning Moraine Lake. The trail starts from the Moraine Lake parking lot and follows the lakeshore trail around the right side of the lake where there the trail is well marked with two intersections. Keep right at both to head up into the forest via a series of switchbacks. After a steady 360 meter climb, you will arrive in Larch Valley. In the spring and summer the meadow is filled with wildflowers, and in the autumn it is filled with saffron colorful larch trees. It is spectacular any time of the season, but especially in the autumn. 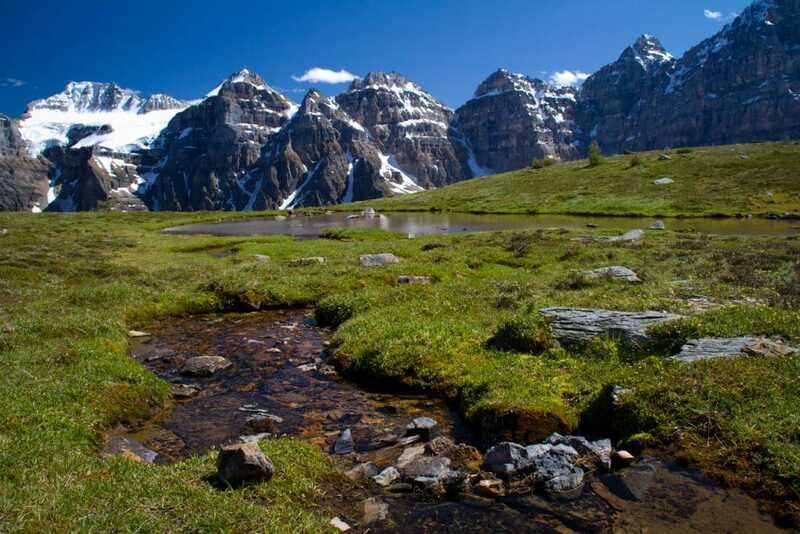 There are epic mountains views of the ‘ten peaks’, which is the iconic mountain range whose image used to appear on the old Canadian $20 bill. Keep going another 2.5 kilometers with another few hundred meters of elevation to Sentinal Pass. In this pass, you will be surrounded by stunning Eiffel Peak and Pinnacle Mountain to the left and Mount Temple to your right. There is also a small pond which makes a nice place to take a break before the last sprint up to the top of Sentinal Pass. This part of the trail looks steeper from the bottom than it really is, it’s not a scramble but a very exposed section of shale switchbacks. It doesn’t take long to reach the top though, and it is completely worth it for the epic views from the top. You get a panoramic view of the ten peaks one direction, and Paradise Valley the other. Find a flat rock and have lunch here and take your time to enjoy the epic view. It’s one of the most dramatic mountains scenes you will experience. On a clear day, it’s surreal. Autumn is even more spectacular with an array of color from the laches. Ambitious folks can either scramble further up Pinnacle Mountain for an even better view or down the other side into Paradise Valley. You would need to leave a vehicle at the Paradise Valley trailhead to do the loop but it would be a great (long) day out. 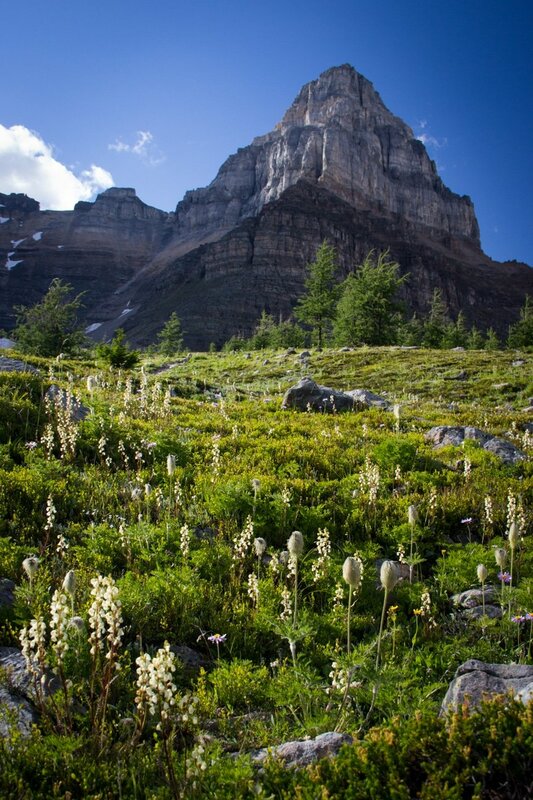 *Please note that this is grizzly bear country and many of the hikes in this area require you to hike in a group. Check trail requirements before you head out.